When news came that RuPaul’s Drag Race was going to produce a UK version, I asked a good friend of mine, a transgender drag artist, what they and their drag peers made of the move. I expected some eye-rolling, some trash talk - I’d heard my friend speak about their love-hate relationship with the show before. "We’re scared," came the unexpected response. It goes beyond a little disdain at the mainstreaming of an art they spend their lives innovating - they’re afraid that Drag Race UK will move things backwards in the community, narrowing audience perceptions of what drag is, making it harder for all the different kinds of artists who don’t resemble those on the show to book gigs and make a career. 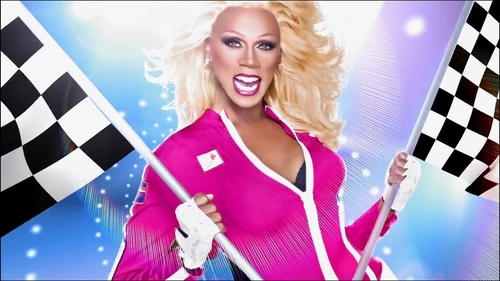 Although there are no explicit rules about what gender contestants on Drag Race can be, the eleven seasons have almost exclusively featured cis-gender men. 2016 Finalist Peppermint was the first openly transgender woman to enter the show. RuPaul remarked, in comments he later apologised for, that: Peppermint didn’t get breast implants until after she left our show; she was identifying as a woman, but she hadn’t really transitioned." Peppermint objected to this, and remarked that gay men are not the only ones able to engage in gender performance. One hopes that the same audiences who enjoy Drag Race will be drawn to Pose too, and see the complex reality behind the "sassy" catchphrases and habits they so enjoy being caricatured elsewhere. Drag Race highlights and rewards a particular kind of high-gloss streamlined version of drag, and this is a pity not only because it excludes the current gender-variant artists who have something exceptional to offer, but also because it erases drag’s own roots. Drag Race has introduced a host of terms, linguistic intonations and traditions to its audience which originate from the drag balls of the 1980s. It often pays lip service to Paris Is Burning, the seminal film which recorded the balls and the magnificent characters who took part in them. But in its aim to be a clean marketable version of drag, in failing to hold up transgender people as the original heroes of drag as they were in truth, it lets the past down. Pose, the Ryan Murphy show set in 1980s New York in just that world, is a welcome rejoinder to those omissions. One hopes that the same audiences who enjoy Drag Race will be drawn to Pose too, and see the complex reality behind the "sassy" catchphrases and habits they so enjoy being caricatured elsewhere. To be clear, Pose is a soapy, unevenly acted show with plenty of clunky parts. But for all that (and in any case, who expected Murphy, creator of Glee and American Horror Story, to make a purely realist show?) it is inclusive, historical, and representative in a way Drag Race never is. It doesn’t shy away from the ugly realities of living in a community blighted by HIV, the frantic insecurity of loving people you fear disappearing any day. Nor does it gloss over the role of transgender women in drag history - in fact almost all of its stars are transgender. Most importantly, it demonstrates over and over again the importance of the "chosen family" in queer and drag communities- the idea of a group of non-blood related people becoming your family, creating new traditions, new ties, new homes. For people rejected from their more traditional family setups, or unable to live within them for whatever reason, these chosen families became, quite literally, life-saving. People who had next to nothing offered what they did have to the younger versions of themselves, destitute and at high risk, sleeping rough, vulnerable to abuse and violence. Chosen families were a way to survive, and also a source of joy; the relief of finally being safe among your own people. Seeing them onscreen is an important step to rebutting the competitive, capitalistic drag scene, which is all we mainstream audiences have seen so far. Pose is currently screening on BBC 2, while new episodes of season 11 of RuPaul's Drag Race are available weekly on Netflix.